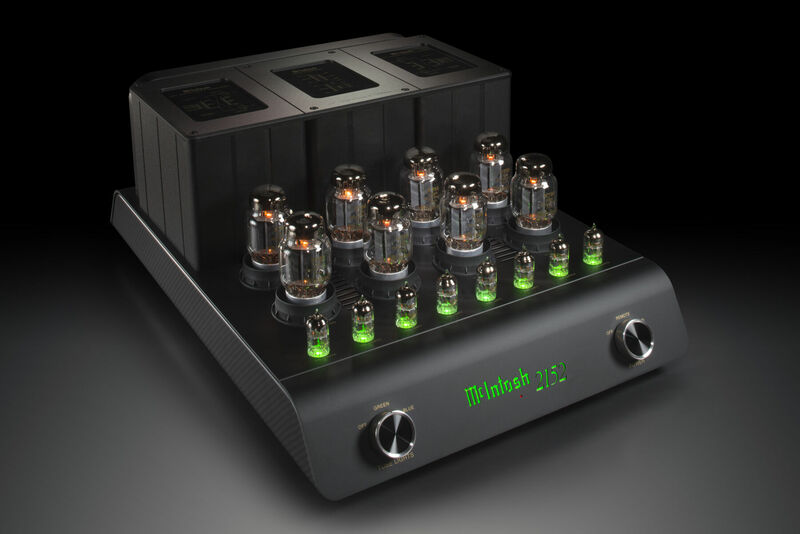 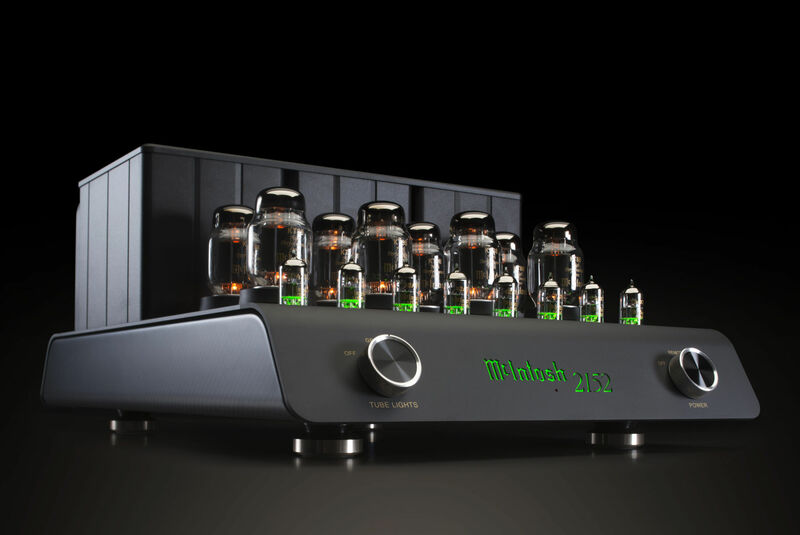 The MC2152 70th Anniversary Vacuum Tube Amplifier is a 150 Watt per channel stereo amplifier and features a striking new design to honor McIntosh's seven decades of handcrafting some of the best home audio equipment the world has ever heard. 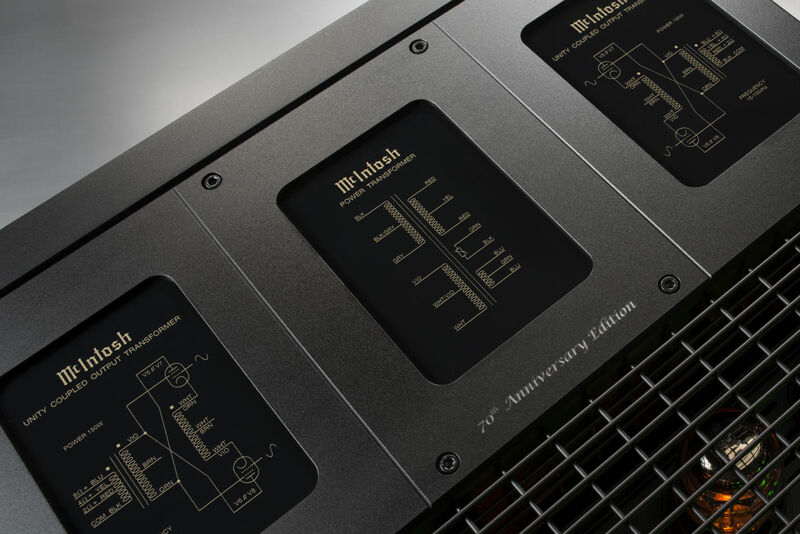 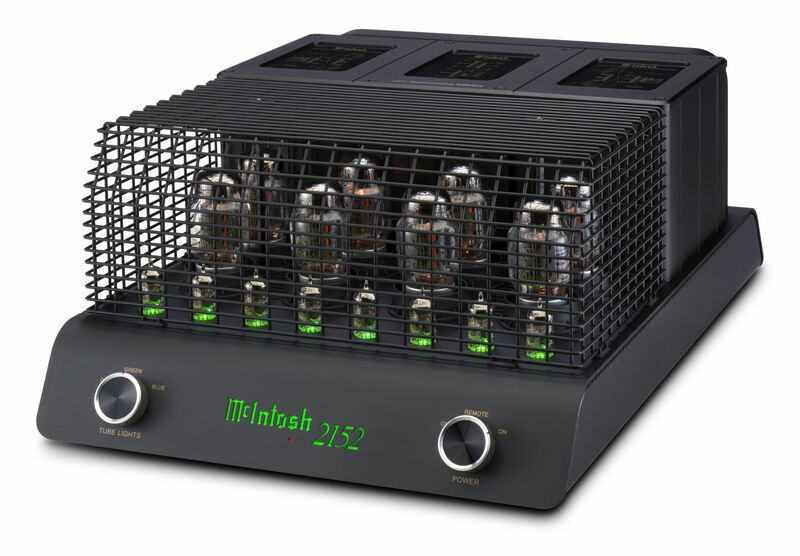 Utilizing the McIntosh patented Unity Coupled Circuit output transformer technology – the same technology the company was founded on in 1949 – the full 150 Watts can be delivered to almost any pair of speakers regardless if they have 2, 4 or 8 Ohm impedance. 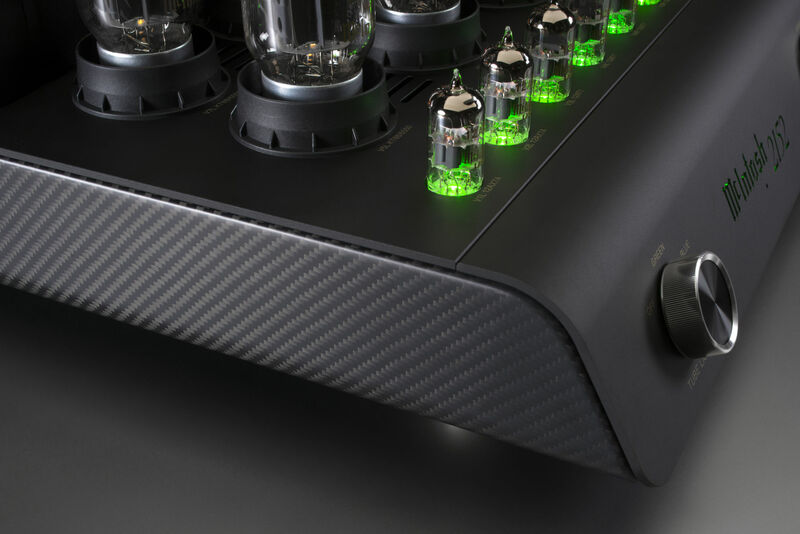 The MC2152 uses eight KT88 output vacuum tubes plus eight small signal tubes comprised of four 12AX7A and four 12AT7 vacuum tubes; half of the tube complement is assigned to each audio channel. 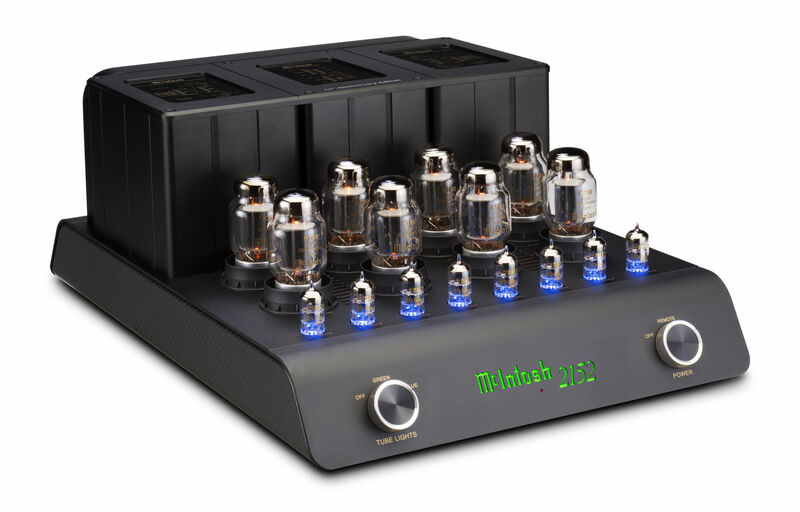 The 12AX7A vacuum tubes are for the Balanced and Input amps, while the 12AT7 tubes are for the Voltage and Driver amps. 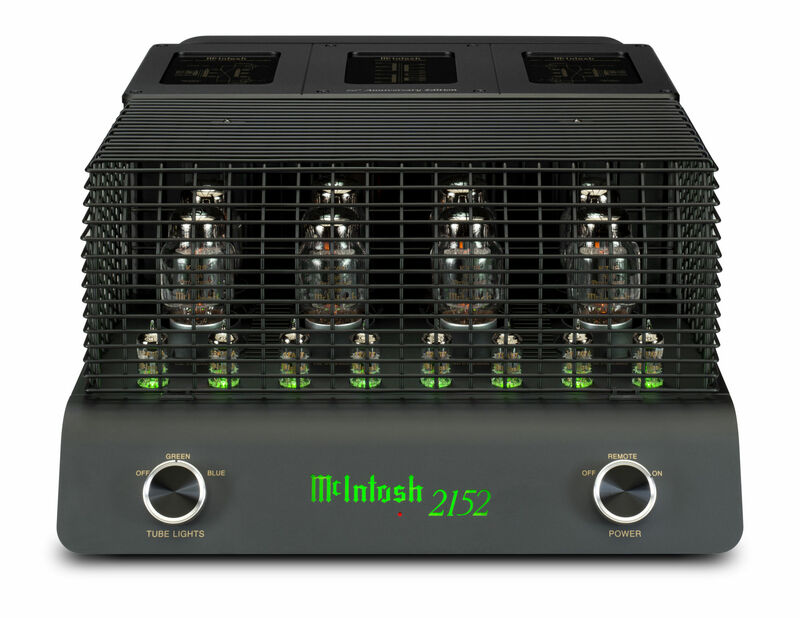 The LED's under the eight small signal tubes can be set to three illumination settings: Off (which allows the tubes natural amber glow to be visible), Green or Blue – a new color option unique to the MC2152. 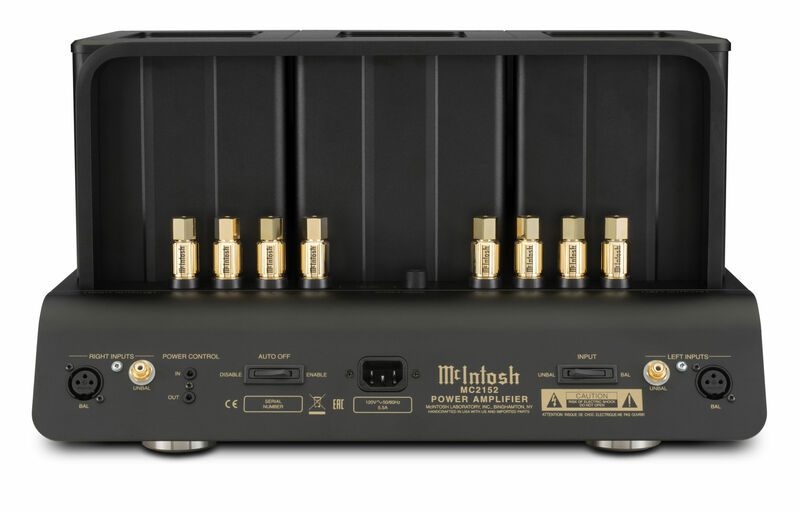 Our Sentry Monitor™ technology monitors the output current and shuts the amplifier off if it ever exceeds safe limits.